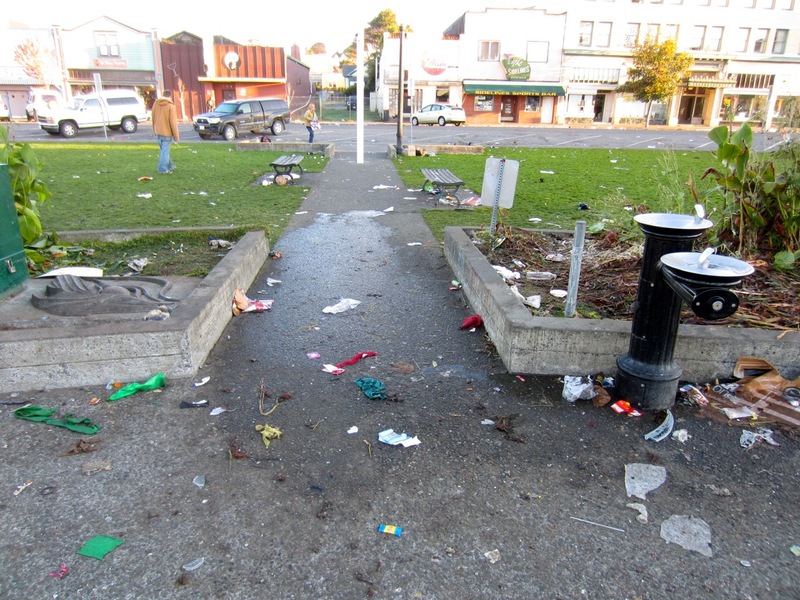 Last night the Arcata Plaza was trashed by hundreds of unruly Halloween revelers. 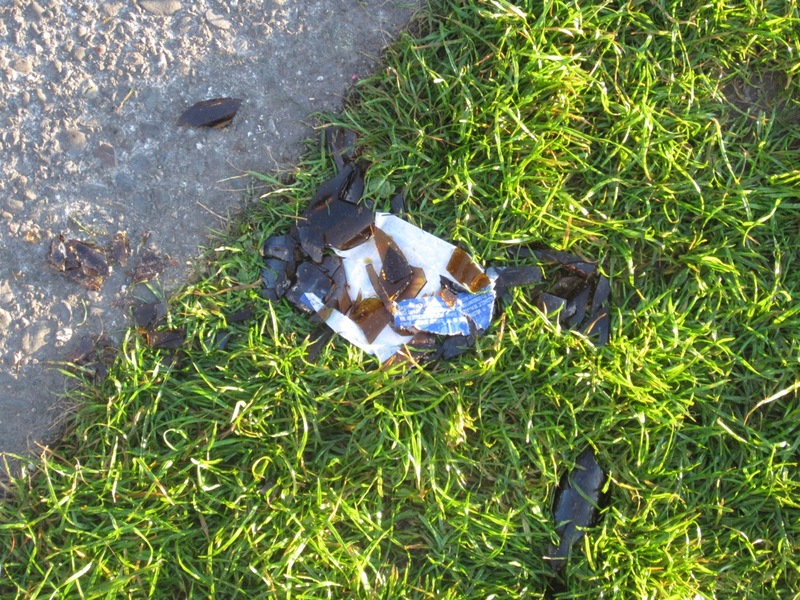 Due to the amount of broken alcohol bottles, citizens should be very cautious if they walk on the grass of the Plaza. 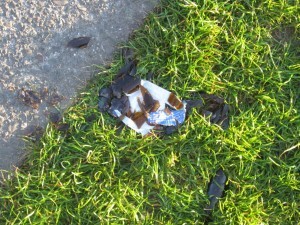 Despite efforts to clean the area there are many shards of glass still on the grass. 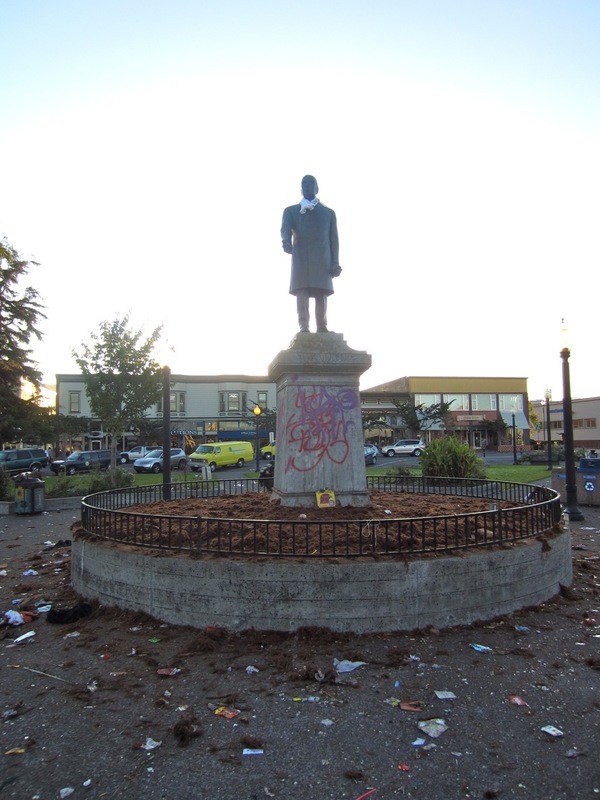 Damage to the Plaza includes graffiti painted on four sides of the McKinley statue, mounds of trash left in the park and on the street, trampled flower beds, and broken bottles. During the evening the Arcata Police arrested nearly thirty people and responded to over 100 police calls, including seven alcohol related medical calls in the downtown. Some of the medical calls were for over-intoxication, head injuries, and one man who drunkenly jumped from a roof, breaking his ankle. Police Chief Tom Chapman said of the event, “the level of disrespect for the community is astonishing. The combination of alcohol and a costume gave some a sense of lawlessness.” Chapman said the department will be reviewing video footage in an effort to identify those responsible for criminal conduct. This entry was posted on Tuesday, November 1st, 2011 at 1:26 pm	and is filed under News, Environment. You can follow any responses to this entry through the RSS 2.0 feed.